Organization Name: Aiipltech Pvt Ltd.
Aiipltech is an associate company of India’s leading instrumentation company Aimil, looking after the international operation of the parent company. The company started the operation in April 13. Worked with Aimil Ltd, a leading instrumentation company in India, for the last 30 years. Completed B Tech in Electronics and Telecommunication from NIT, Surathkal in 1982. Was the area manager for more than a decade in the Mumbai area office of Aimil. Headed the division of National Managers for business development of 5 verticals of Aimil. Has been associated with various business partners from USA, Europe and Japan in the field of instrumentation. Was the Director of joint venture of Malvern Aimil Instruments Pvt. Ltd. in India for 5 years. 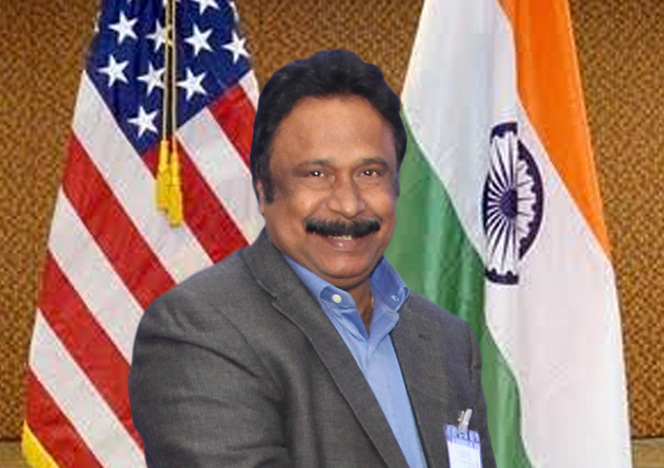 Presently the founder Director of USIIC (US India Importers Council). Aiipltech objective is to bring in leading edge technologies from the Best in the World, and integrate it with our outstanding service to our Customers, conducting with uncompromising integrity, honesty and respect. Aiipltech was set up to cater to the International Market with a special focus on South East Asia, Middle East and Africa. Aiipltech will have a special focus on the following Business Areas. Sales and Support of Aimil Manufactured Civil Engineering Test Equipment. Acting as a Direct Distribution Channel for Specialized Test Equipment from Partners who prefer Aiipltech as their sole channel. Aimil Ltd. was established in 1932 and having its head office and registered office at Naimex House, A-8, Mohan Co-operative Industrial Estate, Mathura Road, New Delhi - 110044 (INDIA). Aimil has been at the forefront of Instrumentation industry in India, providing the state- of- the-art instruments and related services. Aimil is an ISO: 9001:2008 certified company with offices all over India. Aiipltech is an associate company of Aimil Ltd. and having the registered office at Naimex House, A-8, Mohan Cooperative Industrial Estate, Mathura Road, New Delhi - 110044 (INDIA) and office at Naimex House, BSEL Tech Park, B Wing, 11th Floor, Sector 30A, Vashi, Navi Mumbai - 400705 (INDIA) primarily looking after the marketing of the exports division of Aimil Ltd.
Aiipltech is an ISO : 9001:2008 certified company with distributors and partners all over Africa and ASEAN countries. Aiipltech is also OHSAS 18001: 2007, ISO 14001: 2004 and ISO 27001: 2013 certified. Partners and Distributors in Myanmar, Vietnam, Philippines, Malaysia, Nigeria, Mali, Rwanda, Burundi, Morocco, Zambia, Botswana, South Africa, Zimbabwe, Namibia, Angola, Sudan, Mozambique, Swaziland, Tanzania, Ethiopia, Uganda, Kenya, Burkina Faso, Maldives, Mauritius, UAE, Oman, Qatar, Saudi Arabia, Kuwait, Jordan, Russia.